The wood is one of my favorite decorating materials. It is warm, welcoming and connects us with nature. You can use it on floors, furniture and accessories, and today I propose several ideas to make your bed headboard be more beautiful and special than ever: we will place it in wood. 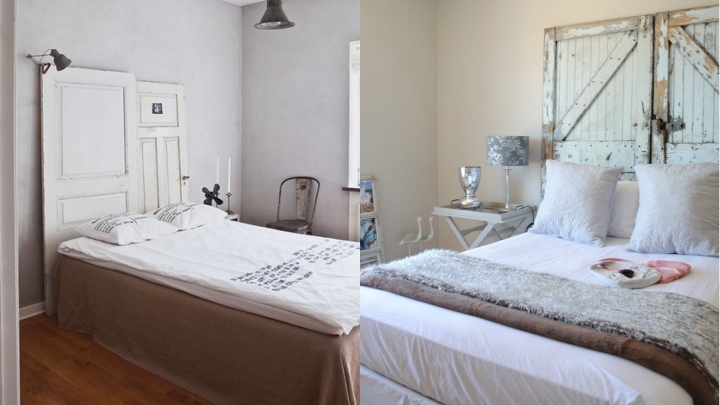 And your bedroom will be completely transformed, as you will discover in today’s article. 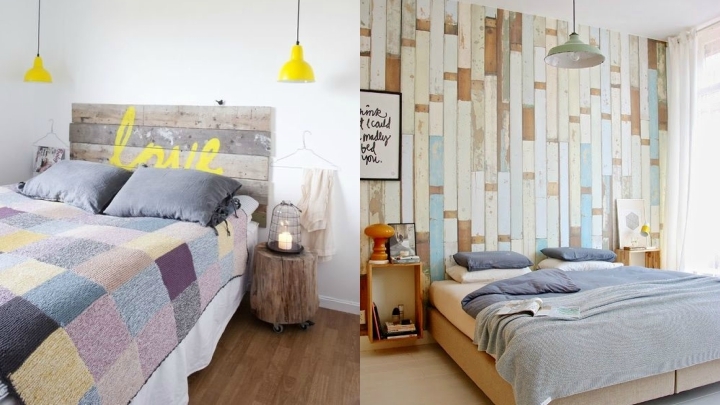 If you like wood, these headboards will love you. The first idea leads us to use one of the wooden elements with more possibilities: the pallet. It is about creating a headboard through one or even two of them. You can paint them in white if you want to bring more light to the bedroom or another color that matches the rest of the room. You can even treat the natural wood with some varnish and leave them as is. You choose the style that you like. 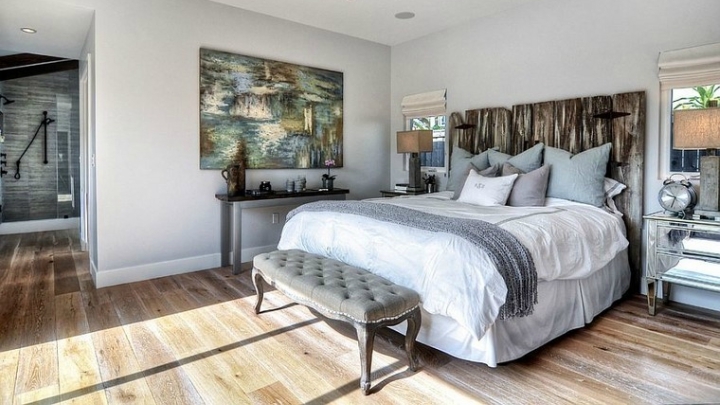 The headboards made with wooden doors or windows are very special. You can make them yourself, with old doors or windows that you want to recycle. With pickled style you will create a very beautiful vintage environment. You can also paint them white or a pastel tone, or leave them in the tone of the wood as we discussed before with the case of the pallets. I like a lot in vertical, and two in two, and you can put them the same size and shape or different … How do you like more? Although we are accustomed to that the head has a certain height, generally up to the middle of the main wall and without reaching the sides that frame the bed, with the wood you have the option to play more, since being a warm and decorative material you Allows to create a headboard that occupies almost the entire wall, or even whole. In addition, it will serve as thermal and acoustic insulation, so what else can you ask for? The slats or planks allow you a lot of possibilities. You can choose its width, its length, play with different lengths, put them in vertical, horizontal, make the headboard to the ceiling, smaller, of a single color, intercalating tonalities … Put your creativity and choose the best way to design Your custom headboard. Here I leave you with two examples, and then you will see more. One idea that you will see in the gallery and that I liked a lot is to place a wooden headboard and write in it words. You can put a large, painted in the center, or write several smaller, on each strip of wood, with some decorative vinyl. It gives a very original touch. Or if the headboard is for a queen bed you can put the name of each one, for example. If instead of words you want to introduce some other decorative element, great. The garlands of lights will delight your wooden headboard. Or maybe shells to design a sailor bedroom. Find what you want to place as a special ornament for a complete personalization of the room.